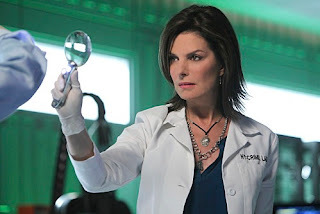 Sela Ward is a delightful American actress, known for her role on the television series Once and Again and CSI: NY. Hallelujah for Sela. Everyone's favorite "Sister" was born Sela Ann Ward, on July 11, 1956, in Meridian, Mississippi. Sela's parents were Granberry Holland (an electrical engineer) and Annie Kate Ward; the 3 younger children in the family are Jenna (1957), Berry (1959) and Brock (1961). "Sela" is a Hebrew word that means "rock, boulder, cliff." Sela graduated from the University of Alabama in 1977, with a Bachelor of Fine Arts degree in art and advertising; Sela was also a cheerleader for the Crimson Tide football team, a Homecoming Queen and a member of the Chi Omega sorority. Sela moved to New York to work for an advertising agency. Responding to a friend's suggestion that she was tall (5'7") and pretty enough to try modeling, Sela began a highly successful career with the Wilhelmina Agency. Sela's first gig was in the Pepsi advertising department, and her first commercial was for Maybelline. After appearing in 20 national TV commercials, Sela moved to L.A. and got her first TV role in "Emerald Point N.A.S." (1983); she dated tall costar Richard Dean Anderson for 3 years (which is much longer than the TV series lasted). Sela's movie break came by appearing with Burt Reynolds in the film The Man Who Loved Women (1983), and by now her acting career was established. But perhaps Sela is best known for starring in the TV series "Sisters" (1991), which ran for 6 seasons. The series was a big hit with women, and if the males in the audience stuck around after the steamy (literally) opening sauna sequence, they too would discover a series with fascinating writing and story plots, with Sela as "Teddy"-- in the fashion industry she began her first company, which she wanted to call Teddy Wear. 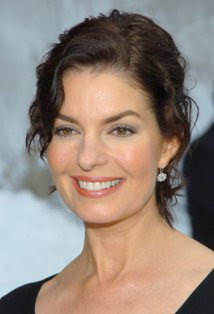 In 1992 and 1994, Sela got the Golden Globe nomination for best lead actress in a drama series; in 1994, she won an Emmy Award and, in 1996, the Screen Actors Guild Award. 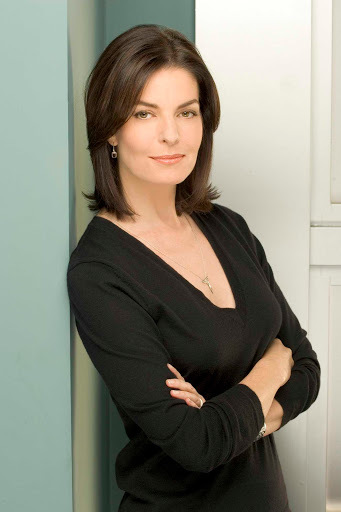 During the series' run, Sela married Howard Sherman (May 23, 1992 - present). They had two children: Austin Ward (May 13, 1994), Anabella Raye (May 30, 1998). Still very much a pretty woman, Sela appeared in Runaway Bride (1999) as Pretty Bar Woman. In 2000, Sela won her 2nd Emmy award, this time for work in "Once and Again" (1999).